One of the benefits to starting a whole bunch of baby kale plants early is that you can actually start to enjoy eating them! 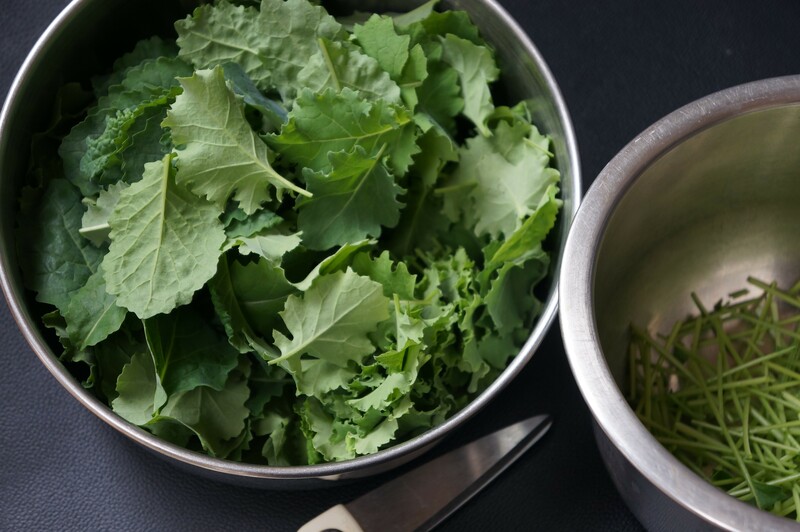 Here is my big bowl of baby kale leaves ready to add to my salad. They are so tender and delicious! I do think I missed my calling. I could be very happy as a farmer.